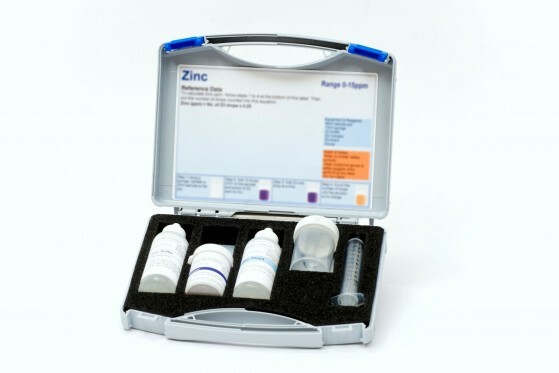 Our Zinc kit includes all the equipment & reagents required to measure Zinc within a range of 0-15ppm. The kit includes a sample pot and syringe to perform the tests; the liquid reagents come in clear bottles so it is easy to see when replacements need to be ordered. Places to monitor Zinc: It is important to measure the dosage level of zinc in places like Cooling Towers to prevent the formation of scale. If you need to carryout maintenance in cooling water systems take a look at our complete Cooling Water Test Kit in our Engineers System Specific Test Kits section.